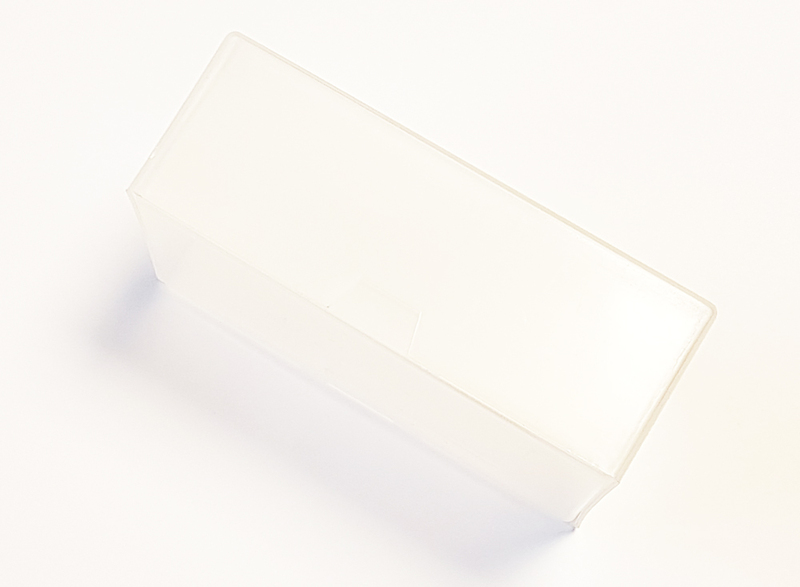 Plastic box for holding buisness cards and bank cards. 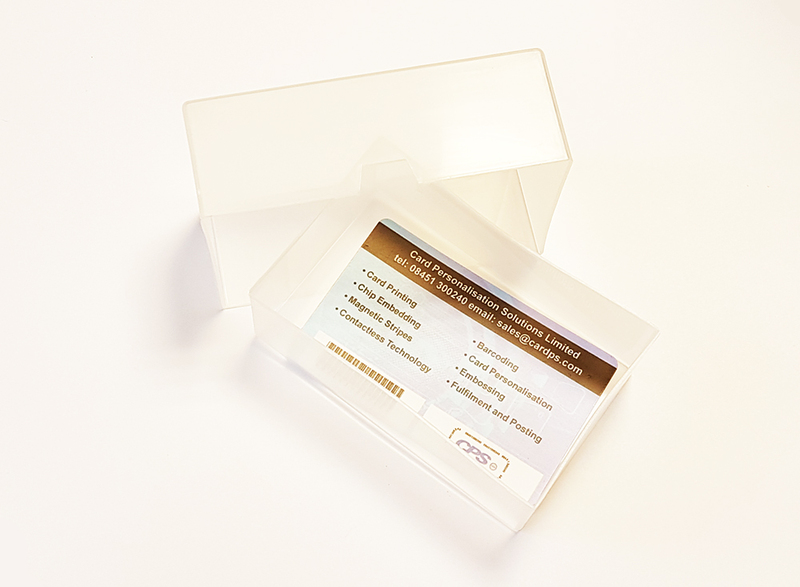 The box can hold around 50 standard plastic flat bank style cards, and even more traditional paper business cards. 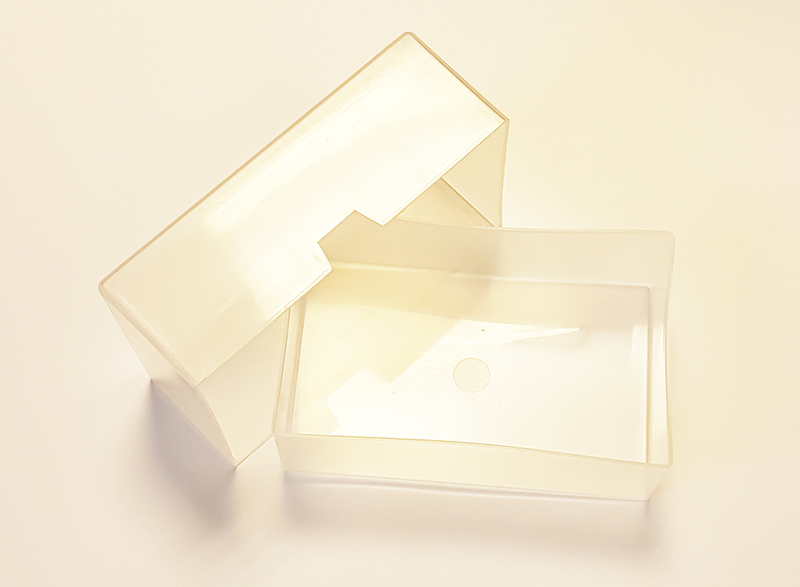 Ideal to keep on your desk or in a drawer or even in a bag when travelling to a conference.